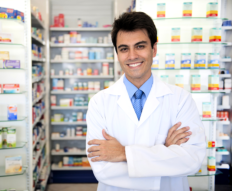 Healthco Pharmacy, headquartered in Houston, Texas, is a full-service, independent pharmacy that places a premium on customer service and satisfaction. Beyond our commitment to being a valued community pharmacy and providing pharmacy services to individuals, we provide products and services across the spectrum of pharmacy care to nursing homes or long-term care facilities, hospitals and other patient care outlets. At Healthco Pharmacy, we have a personal interest in your health and wellness. Everyone at Healthco – from our professional pharmacists and knowledgeable staff, to our vendor partners and suppliers – works together to provide our customers with a superior pharmacy experience.